Now is the time to pursue a career in Big Data. Whatever you call it – data analytics, business analytics, and business intelligence are just a few of the names – Big Data is the next wave of technology. More information is being recorded today than ever in history, between business, government, healthcare, and education, and while computers do the heavy lifting, it still takes highly skilled, rigorously trained human beings to program those computers, run the numbers, analyze outputs, and visualize and communicate the information. And there are not nearly enough people to do that work, meaning a major labor shortage and a prime opportunity to get into an in-demand profession. Be aware that all of the following programs offer fully online coursework, but some may require campus visits for things like orientations, workshops, or thesis defense/presentation. Some online programs, particularly from public universities, are only available in the institution’s home state, or have limited national availability; examine programs closely before committing. Are you more interested in attending an on-campus data graduate program? 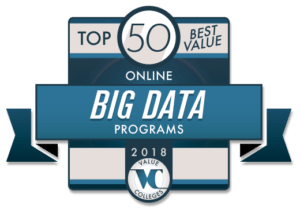 Check out our residential Top 50 Best Value Big Data Programs for 2018. Value Colleges’ Best Value, the Georgia Institute of Technology – better known as Georgia Tech – ranks as the leading public STEM research university in the south. Founded in 1885 in Atlanta, GA – a city then still recovering from the utter devastation of the Civil War, and beginning to earn the name Phoenix City, rising from the ashes – Georgia Tech helped lead development as one of Atlanta’s economic powerhouses (one of the fastest-growing cities in the nation, with the third-highest concentration of Fortune 500 companies). 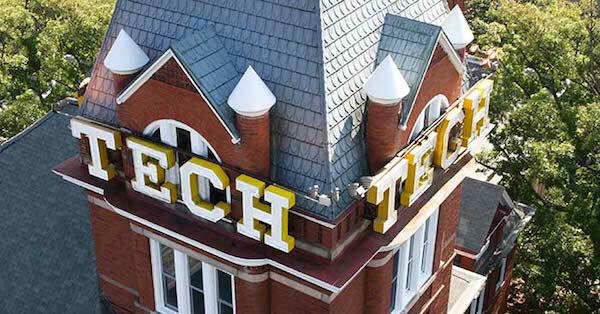 Georgia Tech was founded to bring elite polytechnic learning to the rising South, and it accomplished its goal and then some, growing into one of the most prestigious STEM research and teaching institutions in the nation. Georgia Tech’s Online Master of Science in Analytics degree is an interdisciplinary model for the field, and Tech’s Analytics program draws on the best research and faculty from around the university to create a well-rounded, industry-accurate course of study. The Georgia Tech Analytics program has been nationally ranked as one of the 10 best, and the OMS Analytics is priced far lower than the on-campus program, or any of the program’s competitors. The program can be completed in just 1-2 years, depending on the student’s level of preparation and choice of full-time or part-time study, and interactive course materials, expert instructors, and a mix of delivery tools help Georgia Tech create a rich online experience. Graduates step out into a job market that rivals Silicon Valley, making Georgia Tech the best Big Data investment of 2018. Founded in 1942, Fairfield University is a private Catholic institution and part of the Association of Jesuit Colleges and Universities. Fairfield came about when the New England Society of Jesus – a Catholic religious order dating back to Ignatius of Loyola, a monastic reformer who emphasized education and service – acquired the estates of two prominent families in the area; the college’s first buildings, therefore, were mansions. 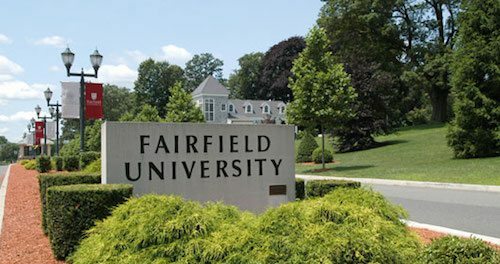 Designed along the Jesuit principles of academic rigor and ethical responsibility, Fairfield has built a reputation for excellence, with research centers like the Center for Faith and Public Life and the Center for Microfinance emphasizing social engagement and service. Fairfield University’s online MS in Business Analytics builds on Fairfield’s long history of innovation and development – the university has been named one of the schools most likely to earn international recognition by Times Higher Education. The Dolan School of Business, in particular, has regularly been ranked among the best business schools by U.S. News & World Report, the Princeton Review, and Businessweek. The 30-credit program focuses on business intelligence and database management, and an interdisciplinary faculty brings together the best aspects of mathematics, computer science, and business. Fairfield’s networks in New England and New York give graduates access to a thriving analytics job market, making it a clear value. The flagship of the University of Illinois System, the University of Illinois at Urbana-Champaign is a land-grant, public research university founded in 1867. The purpose of the 1862 Morrill Land-Grant Act was to establish public universities focused on agriculture and mechanical science, along with a base in the liberal arts, and like many other land-grant institutions, U of I built on this foundation to create a leading STEM research and learning center. The University of Illinois is a top-tier national university with the highest Carnegie Classification for research, and Illinois’ College of Engineering is one of the oldest and most influential in the nation, from its two dozen research centers and 10 laboratories to excellent undergraduate and graduate degree programs. The University of Illinois’s online Master of Computer Science in Data Science is a world-class online degree program; Illinois’ computer science graduate degrees have been ranked in the top 5 nationally. Drawing on the most current computing technology, the MCS-DS focuses on areas like data mining, machine learning, and cloud computing, preparing students for a flexible and adaptable skill set that can take them into a wide variety of industries. The MCS-DS program uses a Coursera MOOC format for convenience and simplicity, giving students a thorough but easily-digestible grounding in every aspect of data computing. With the University of Illinois’ prime reputation, graduates can expect a strong return on their online investment. La Salle University was founded in 1863 by the Institute of the Brothers of the Christian Schools, a Catholic religious order dedicated to education. Though the school developed a strong reputation in the region, it faced bankruptcy and closure twice in the 20th century – first because of the Great Depression, and then when WWII almost completely emptied it of students (as an all-male school, most enlisted to fight). However, the post-War boom in college attendance, thanks to the GI Bill, saved La Salle. The college began accepting women in 1970, and by 1984 had grown to university status; in the 21st century, La Salle has made leaps in the rankings, reaching the top 35 among regional institutions in the North, and gaining national attention as a best value and major force for social mobility for low-income students. La Salle University’s online MS in Analytics degree program is designed to give students a full, adaptable understanding of data analytics in both theoretical and practical realms. La Salle uses an accelerated 8-week course schedule that allows students to concentrate on one course at a time, getting a deep and detailed immersion in each subject, and still complete the program in two years or less. With its Jesuit heritage, La Salle puts a priority on ethical responsibility, as well as ethical leadership and collaboration. La Salle’s reputation, and its deep connections to the business of Philadelphia and the Northeast, gives students assurance of success on the job market and a solid return on investment. Founded in 1851 by the Society of Jesus, Saint Joseph’s University is a private Jesuit, Catholic institution in Philadelphia, PA. Saint Joseph’s is part of the prestigious Association of Jesuit College and University, known for academic excellence and top-tier student support. Catholic faith, and Jesuit values (including intellectual rigor and community service) are central to Saint Joseph’s curriculum, from undergraduate to graduate. Frequently ranked as one of the top 20 regional universities in the Northeast by U.S. News & World Report, Saint Joseph’s is home to the Haub School of Business, one of the most trusted in Pennsylvania, combining Jesuit ethics and modern business practice and theory. The Haub School offers the Saint Joseph’s University online MS in Business Intelligence and Analytics, developed in collaboration between the business faculty and STEM researchers to combine Saint Joseph’s uniquely Jesuit approach to business with the needs of big data. The Saint Joseph’s online program is directed toward the needs of business, particularly in giving managers and team leaders the tools they need to use data to design and implement plans, improve performance, and guide decision-making and problem-solving. Graduates receive not only a highly valuable master’s degree, but also a SAS-approved certificate that will provide even more of a job market advantage. Named for its benefactor, the entrepreneur Johns Hopkins, Johns Hopkins University began in 1876 with the single largest gift ever made to a college at that time – $7 million. That donation funded the establishment of a college and a hospital, and in the century and a half since its auspicious beginnings, Johns Hopkins University has been best known as a world leader in medical research and treatment. However, medicine is only part of the Johns Hopkins story; other programs, like the Carey School of Business and the Whiting School of Engineering, are ranked among the best schools in their fields worldwide; the university itself ranks #11 nationally, according to U.S. News & World Report. The Johns Hopkins online MS in Data Science, from the Whiting School of Engineering, is a fully online program dedicated to bringing theory and practice together for real-world applications. JHU’s online engineering programs are ranked among the best in the nation by U.S. News & World Report, and the Data Science MS is part of that selection. Steeped in engineering, the Data Science program is highly technical, giving students a deep, thorough grounding in the technology of applied mathematics, statistics, and computing, all taught by experienced experts in some of the most advanced laboratories in the world. Johns Hopkins is perpetually named among the best values in the US, thanks to its commitment to meeting students’ financial needs. The #1 public university in the nation (tied with the UC System flagship, Berkeley), the University of California, Los Angeles was founded in 1919, but dates back to 1882 and the State Normal School at Los Angeles, a teacher training program. With the explosive growth of Southern California, the normal school became a state university in 1919, and began a century of expansion and development that has made it one of the largest universities in the US, as well as one of the most acclaimed. A productive and influential research university, UCLA is well known for the Samueli School of Engineering and Applied Sciences, which, among many other accomplishments, is heralded as the birthplace of the internet, having sent the first computer message to Stanford University in 1969. With that incredible pedigree, the UCLA online MS in Engineering, with a concentration in Data Science Engineering, is a program that would be hard to beat. Students develop the skills necessary to build big data systems, from data-mining to analysis and personalization, that can be used for practical purposes by industry, government, and science. UCLA’s emphasis is on problem-solving, using technology to make informed and well-reasoned decisions, and students learn from some of the most decorated faculty in the field. The program is expected to take two years and a quarter, and no more than three years. An online Data Science Engineering degree from one of the pioneers of computer science is a value in itself. The City University of New York – the largest urban university in the US – was founded in an unusual way, and is built on an unusual structure. In 1961, the legislature of New York State combined several long-standing smaller schools in the city of New York to create a public university that would meet the needs of the city’s population. Today, CUNY is composed of 24 individual institutions, ranging from community colleges to graduate and professional schools, each semi-independent but held together under the same umbrella. One of these, the School of Professional Studies, was founded in 2003 specifically to serve as CUNY’s institution for working adults, and is the home of CUNY’s fully online degree programs. The CUNY School of Professional Studies offers an online MS in Data Science, an updated replacement for its highly-ranked MS in Data Analytics scheduled to begin in spring 2018. Ranked nationally as one of the top programs in the field, the online MS in Data Science is built on experiential learning, using a programming bootcamp-inspired format that provides students with hands-on projects that end in marketable work samples. This cutting-edge program is focused not only on the technology, but on presenting work and reviewing the work of colleagues – necessary soft skills for the workplace. These innovations help make CUNY’s online Data Science MS a top investment. Founded in 1948 as a rebuke and safe haven against anti-semitism in higher education, Brandeis University has made its commitment to acceptance and public good into a world-wide reputation. Brandeis was very nearly named after Albert Einstein (who declined out of embarrassment), but Einstein was still influential in the university’s founding and structure. Ranked as one of the top 50 universities in the nation by U.S. News & World Report, Brandeis is also recognized as one of the most liberal, one of the most socially engaged, and one of the most rigorous universities in America; it has also been named one of the most entrepreneurial schools in the nation by Forbes. That unparalleled reputation backs Brandeis’ online degree programs as well, such as the Brandeis online MS in Strategic Analytics, a degree that prepares professionals for decision-making positions in big data. The Brandeis online program brings together computer science and business expertise, with courses in statistics, data analysis, and visualization, alongside courses in management and professional communication. Graduates from the Brandeis online program will be primed for both sides of Big Data – the technology, and the business. Brandeis’ high ROI and average income for graduates is a testament to its value on the job market. Merrimack College is a private Catholic college founded in 1947 by the Province of St. Thomas of Villanova, a group of Augustinian friars. Merrimack was founded by the special request of the Archbishop of Boston, intending the new college to help meet the large increase in demand for higher education from returning WWII veterans using the GI Bill to return to civilian life. The new college was dedicated to providing educational opportunity for the Merrimack Valley region, the industrial area along the Merrimack River that also serves as a suburb of Boston. Merrimack has long been listed among the top regional institutions in the North by U.S. News & World Report and the Princeton Review, and has been named to the President’s Higher Education Community Service Honor Roll for their commitment to the region. There are two fully online Big Data degree programs from Merrimack College: the online MS in Data Science, and the online MS in Business Analytics. Both are focused on the needs of working professionals seeking to add a valuable credential to their career, or enter a whole new career field. These programs help students build knowledge in using technology to make better decisions in a business situation, from data modeling to visualization and analyzation. Students learn to turn information into usable results, and the online MS degrees from Merrimack College help working professionals turn an online degree into a successful career in Big Data. 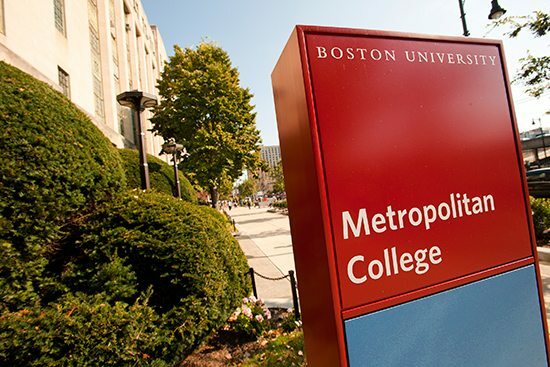 The Boston University MS in Computer Information Systems has been recognized by U.S. News & World Report as one of the top 3 of its kind. Students interested in a Big Data career will find the concentration in Data Analytics offers all of the knowledge and skills necessary to enter any field that needs data structured and analyzed. Graduates from BU’s online Data Analytics program will have a grounding not only in theory, but practical action. The MSCI focuses on data mining, analysis, and visualization, preparing students for the big data field and arming them on the job market with the Boston University name, a major value in itself. 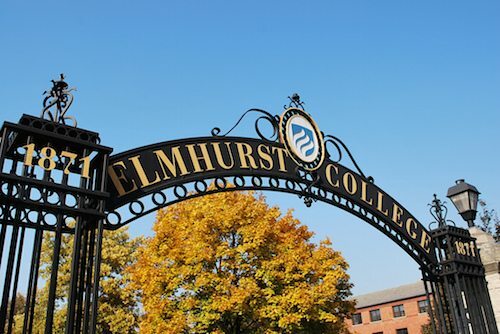 A small, private liberal arts college, Elmhurst College was founded in 1871 by the German Evangelical Synod of the Northwest, a denomination that today is part of the United Churches of Christ; Elmhurst’s original intention was to prepare young men for the ministry, and to train teachers for the church’s schools. Elmhurst has long been ranked in the top 10 Midwestern colleges by U.S. News & World Report, but its strongest selling point is location: a short ride from downtown Chicago, Elmhurst provides students with access to that major business and tech industry, and a name with a strong reputation in the region. Elmhurst established its School for Professional Studies to administrate its growing slate of fully online bachelor’s and master’s degrees. Elmhurst offers an online MS in Data Science dedicated to preparing students for the demands of a Big Data career. The Elmhurst online MSDS fuses theory and practice, using hands-on, experiential practice with standard and emerging data technologies to help students learn to apply the knowledge they learn to actual, real-world situations. The online MS is available only part-time, but even on a part-time schedule online students can finish in two years; working professionals in the field can also obtain a Data Science graduate certificate online. With Elmhurst’s reputation in Chicago and the Midwest, graduates can hit the job market with confidence. Founded in 1851, Northwestern University’s name seems a bit out of place today – it’s in a suburb of Chicago named for Northwestern’s founder, John Evans. But in 1851, Illinois was part of the Northwest Territory, the American frontier, and Northwestern’s influence helped grow a rugged frontier into a major metropolitan area, from its medical and law schools to its pioneering business and technology programs. A U.S. News & World Report top 20 national university, Northwestern is one of the largest and most productive research universities in the world, with an endowment topping $10 billion and a reputation that puts many Ivy Leaguers to shame. Northwestern’s online MS in Predictive Analytics was one of the first online Big Data degree programs ever (established in 2011). They’ve had time to get it right; Northwestern pulls together computer science and business, providing students with a strong grounding not only in the technology, but in how to use that technology in a professional setting. Students learn to use the technology to make realistic predictions so businesses can make informed and profitable decisions. Northwestern’s high-quality, market-ready degree and strong job market reputation translates into a best possible investment. One of the original Public Ivies (a public university with the reputation of the Ivy League), the University of California, Berkeley is the flagship of the world-renowned UC system, one of the top public university systems in the world. Berkeley as it stands now was founded in 1868, when the private College of California merged with the public Agricultural, Mining and Mechanical Arts College. UC Berkeley has long been a hub for entrepreneurship, innovation, and game-changing research, and Berkeley’s online programs take part in that reputation. 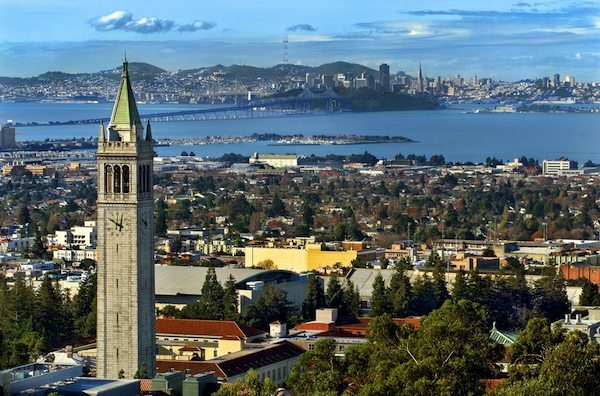 Berkeley is currently tied for the U.S. News & World Report #1 public university (with its sister institution, UCLA). The Berkeley School of Information – one of the most influential of its kind – offers Berkeley’s online Master of Information and Data Science program that brings together many disciplines and approaches to data collection, structuring, and analysis. Berkeley’s MIDS degree is focused on practical problem-solving for a variety of fields, making it a highly adaptable, flexible degree that can be applied across many career paths. 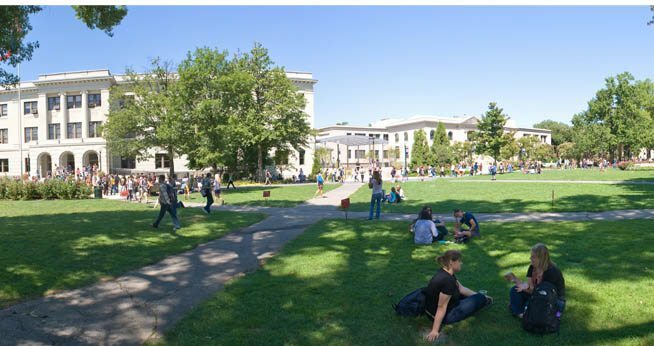 Berkeley has long been a leader in technology and computer science, and the online MIDS degree allows the nation’s top public research university to provide working professionals and traditional students alike with an online degree that carries the legendary Berkeley name. Online education is a big deal in the Midwest, where states are large, populations are spread out and rural, and not everyone can make it to campus. It creates a challenge for public universities, which have a responsibility to provide education for anyone who wants it, and that’s why the University of Wisconsin system has developed an unusual collaborative approach to online education. The UW-Extension was originally a division of UW-Madison providing distance education for farmers, way back in 1906, and became an independent entity in 1965, but it’s really become crucial with the advent of the Continuing and Online Education division. All of the UW system institutions contribute their expertise and faculty to the UW-Extension online MS in Data Science online degree program, ensuring that Wisconsin students get the very best education in big data collection and analysis, with a recognized brand for the job market. Six of UW’s regional colleges collaborate to provide the MSDS, which gives online students a deep foundation in organizing, analyzing, and interpreting data for a variety of clients and industries. Innovative thinking like this makes the University of Wisconsin system a smart investment in Wisconsin or anywhere else – tuition is the same for all students, in-state or out! A top-tier private research university with the highest Carnegie Classification, Northeastern University dates back to evening classes offered at the YMCA in 1889, a common educational track around the turn of the century. The university started with a law school led by professors from Harvard and Boston University, and became a pioneer with Automobile Engineering, then the School of Commerce and Finance. Northeastern is highly entrepreneurial, and best known for its cooperative education programs, in which students alternate conventional classroom education with experiential learning in real workplaces. Northeastern is regularly ranked one of the best private research institutions in the world. The Northeastern online Master of Professional Studies in Analytics is designed to give students a full understanding of the data process from beginning to end, from the technology itself, to collection and organization, to putting data to real-world use. Students come out of the program with adaptable skills that can be applied to every field from government and nonprofit to industry. Students also finish with a marketable portfolio of work that demonstrates their ability to solve real-world problems with a variety of tools. Northeastern’s deep network of relationships with the Boston and New England job market gives graduates a clear pathway to their careers, whether getting their foot in the door, or climbing the ladder. California’s oldest private research university, the University of Southern California was founded in 1880, originally as a Methodist college (it became independent in 1952). USC is one of the largest and most productive private research institutions in the nation, as well as one of the wealthiest; USC boasts the fourth highest number of billionaire alumni in the US. With its emphasis on innovation, entrepreneurship, and technology, USC has been at the center of the tech boom – one of the first nodes of the ARPANET (the precursor to the internet), the birthplace of domain name technology, and currently home to the world’s most powerful quantum computer. USC is a top U.S. News & World Report ranked national university, and a top 10 Dream College according to the Princeton Review. The USC online MS in Computer Science-Data Science concentration builds straight from the world-changing tradition of a pioneering computer science school. The USC online program focuses on the technology, giving students the fundamentals of computing skills needed for gathering, managing, and communicating Big Data; students are also prepared for making practical use of information, from population statistics to energy and environment. Students must have a bachelor’s degree in computer science, statistics, or a related science to apply, and the 12-course, 32-credit program is taught by the expert faculty of the Viterbi School of Engineering. 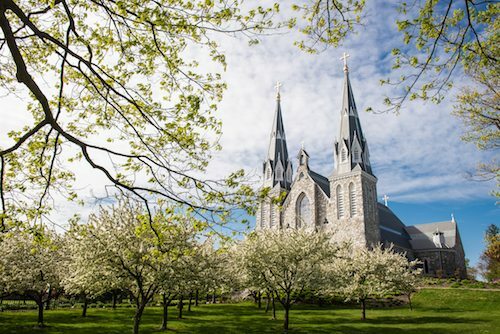 Villanova University, a private, Catholic institution, was founded in 1842 by the Order of St. Augustine (the same order that founded Merrimack College, #10). With its deep roots in the life and culture of Philadelphia, Villanova is one of the most prestigious academic and professional institutions in the North, with the School of Business named the best undergraduate business program in the US by Bloomberg Businessweek. Villanova has recently made the leap from U.S. News & World Report’s regional rankings (where it was long ranked as the #1 regional institution in the North) to the top 50 national universities, and Villanova’s reputation is continually on the rise. The Villanova online MS in Analytics degree can be completed in less than two years from a 33-credit program offered by the respected Villanova School of Business. The online MSA is equally well-suited to engineering or computer science degree-holders as it is for business undergraduates and working professionals, providing a full foundation in the technology, as well as in the art of making secure, well-informed business decisions. Villanova’s reputation, with the job market pull, high salaries, and strong ROI that go with it, secure Villanova’s status as a best value, and graduates can expect a major return on their investment with an online degree from Villanova. Virginia Tech was founded in 1872 as Virginia’s land-grant research university and built on the grounds of a former Methodist school. Designed around the land-grant model, Virginia Tech was originally Virginia Agricultural and Mechanical College, but that foundation set the stage for development into a polytechnic institute by 1896. The grounding in agriculture and mechanics made Virginia Tech an ideal ground for biotechnology and engineering, and the College of Engineering has been a national leader since 1903. Virginia Tech is regularly ranked in the top 25 public universities by U.S. News & World Report. The Virginia Tech online Master of Information Technology degree program is a cutting-edge program based on a module format rather than traditional courses. Students work through competencies in areas like Health Information Systems, Software Development, and Business Information Systems, with a strong grounding in both technology and management. The program is designed in collaboration between the College of Engineering and the Pamplin College of Business, both recognized as some of the top schools in their fields. Ranked #2 in the nation by U.S. News, Virginia Tech’s online computer technology programs are trusted on the job market and perfectly designed for contemporary professionals. A small, private liberal arts university in Connecticut, Quinnipiac University was built on business, founded in 1929 by business professor Samuel Tator when Northeastern University closed their regional program in New Haven, CT due to the Great Depression. First just a junior college of commerce, Quinnipiac grew quickly throughout the 20th century, earning a strong regional reputation for business and law. Already a U.S. News & World Report top-ranked regional institution, Quinnipiac has raised its national profile immensely in recent years by going full-force into online education. the introduction of Quinnipiac University Online, with numerous undergraduate, graduate, and certificate programs available for working adults and other nontraditional students, has taken Quinnipiac to another level of excellence and accessibility. Quinnipiac offers an online Master of Science in Business Analytics that is specifically designed for busy working professionals and has been named one of the best online master’s programs in the nation by U.S. News & World Report. Students will learn the full scope of Big Data, from collection to interpretation, and practice using those insights to make reasoned, evidence-based decisions about common and uncommon business problems. Graduates also earn a certification in Business Analytics Using SAS, thanks to Quinnipiac’s partnership with the trailblazing analytics company. An affordable degree from one of the leading names in online education, and one of the pioneering names in analysis, makes for one of the best values anywhere. Carnegie Mellon University, a highly influential, private research institution, was founded in 1967 from the merger of two previous schools: Andrew Carnegie’s Carnegie Technical Schools, which were founded to provide opportunity to working-class young people in Pittsburgh; and the Mellon brothers’ Mellon Institute of Industrial Research, a research center originally part of the University of Pittsburgh. 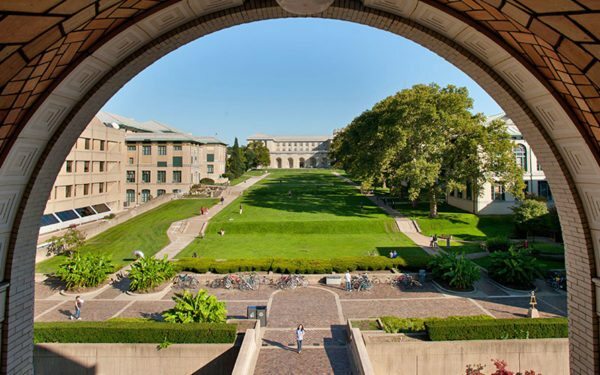 Over the rest of the 20th century, and into the 21st, Carnegie Mellon has proven the equal of any institute or research university in its class. Carnegie Mellon regularly appears in the highest ranks of national universities, consistently making U.S. News & World Report’s top 25 national institutions. Carnegie Mellon has added to its reach and reputation by offering strong online programs, such as the MS in Information Technology degree. The Carnegie MSIT can be earned online with a specialization in Business Intelligence & Data Analytics, guided by the world-class faculty of the Heinz College of Information Systems and Public Policy. Carnegie Mellon uses an unusual method of measuring coursework; the MSIT is measured in 144 units, the equivalent of 12 traditional credits. Students must have at least 3 years of professional experience to apply. Working adults can earn a degree that will jumpstart their career in Big Data with the reputation and job-market pull of Carnegie Mellon. 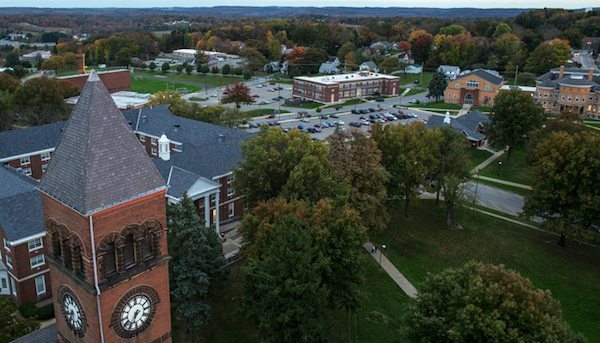 A small, private Catholic liberal arts university, Lewis University has a strong name recognition and ranks as a solid regional institution in the Midwest, according to U.S. News & World Report and the Princeton Review. Lewis was founded in 1932 by the Archdiocese of Chicago and the Brothers of the Christian Schools; unusually for a Catholic institution, Lewis started as a technical school, and then as a school of aeronautics. After WWII, Lewis began to evolve into a more traditional college, but retained its focus on STEM, leading to a strong reputation in technology. 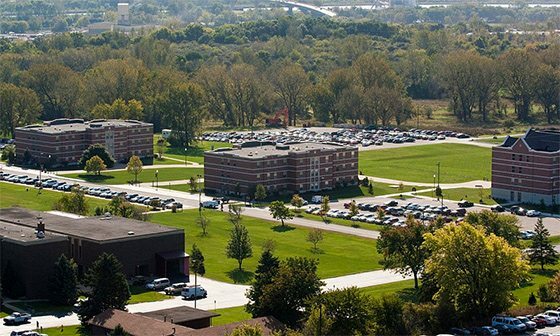 Lewis has been ranked in the top 25 regional institutions for the Midwest by U.S. News & World Report. The Lewis University MS in Data Science, which prepares students for all of the technical and analytical demands of a career in big data. The MS in Data Science is focused on the mathematical and computer science side of data, developing the skills to use available technology, and emerging technology, to analyze the masses of data produced in the modern world. As an interdisciplinary field, the MSDS from Lewis draws on every area from social science and business to computer science and engineering to give a full picture and full mastery of data analysis. This 36-credit program is reasonably priced for a private Catholic education, making it a clear value. Connecticut’s oldest public university, Central Connecticut State University was founded in 1849 as a normal school (an early, 2-year training program for schoolteachers, before the advent of the teacher’s college). Over the 20th century, the normal school became a teacher’s college, then a full regional university, responsible for providing opportunity for the people of the Hartford-Springfield Knowledge Corridor. 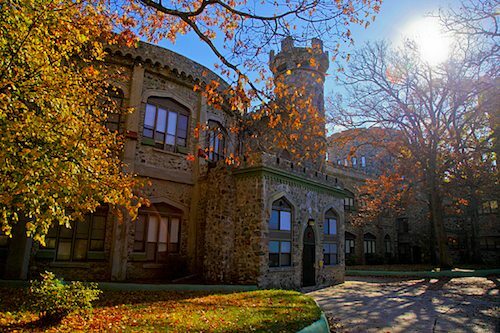 As a regional institution, CCSU is focused on practical education areas like teacher education, business, and technology. Central Connecticut State is ranked in the top 100 regional institutions for the North, as well as a best choice for veterans and a best value, by U.S. News & World Report. The online CCSU MS in Data Mining is designed around the needs of Connecticut’s working adults, including those who are seeking new career paths, and those seeking advancement in their current careers. Like other smaller or mid-sized regional publics, Central Connecticut State University has found that the way to meet students’ needs and progress in the 21st century is through online education. While all coursework is fully online, prospective students should be aware that they will have to visit campus to present their thesis project. But with a low tuition cost, especially for New England, CCSU provides a lot of opportunity for future analysts. One of Alabama’s two flagship universities, Auburn University is one of the foremost STEM-focused public research institution in the South. Originally founded in 1856 as a men’s college by the Methodist Episcopal Church (now part of the United Methodist Church), the college was re-established in 1872 as a public, land-grant agricultural and mechanical institution. 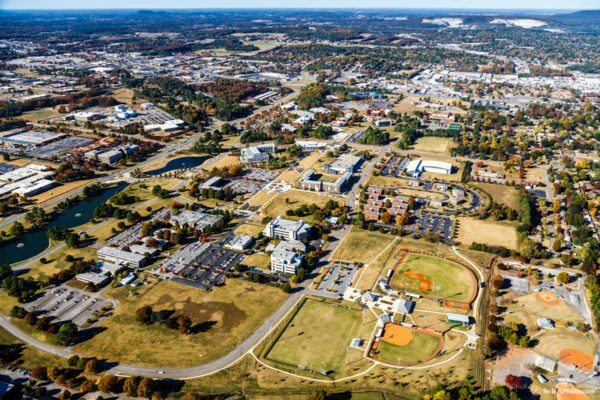 Over time, Auburn grew into a polytechnic institute, and eventually into a large, comprehensive university, and today stands as a land, sea, and space-grant university ranked in the top 50 public universities nationally by U.S. News & World Report. 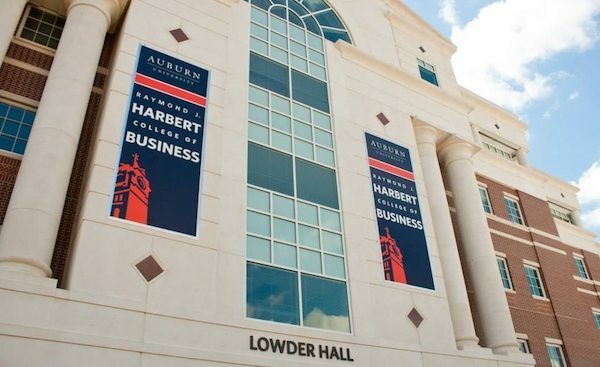 Auburn University is well known for its design, engineering, and business programs, strengths that the Harbert College of Business brings together in the Auburn online MS in Information Systems degree. A business degree heavy on IT, the MS-IS is a 30-credit program designed for recent college graduates in a quantitative field, with no particular amount of work experience required. The online degree can be completed in two or three years. With a low public university tuition cost, Auburn graduates will be big returns from a career in big data. DePaul University is a private, Catholic university founded by the Vincentian order and dedicated to outreach to lower-income and minority students. Founded in 1898, DePaul was originally intended to help educate the large Catholic immigrant population of Pittsburgh, but over the 20th century, DePaul solidified its reputation for openness, accessibility, and outreach. DePaul has historically, and currently, made a large impact in the Chicago and greater Illinois area, gaining recognition from the Princeton Review as one of the most diverse colleges in America. DePaul is also ranked at top-tier national university by U.S. News & World Report. DePaul extends its reach with world-class online programs, such as the DePaul MS in Predictive Analytics, a big data degree offered by the College of Computing and Digital Media. The DePaul online curriculum is built around the fusion of theory and practice, giving students a strong technical background, as well as the know-how to use the technology in the real world. Student take electives from the world-renowned Kellstadt School of Business to apply their data analytics to realistic business needs. The MSPA is also affiliated with DePaul’s Data Mining and Predictive Analytics Center, a dedicated research center producing research in applied data. One of the ways people know of Texas A&M University is by the Texas sized endowment they have amassed, which is one of the 10 largest in the country. As Texans pride themselves on being big, A&M measures up by also having one of the largest student bodies in the country. It is one of the only schools in the state to hold all three designations of air, sea, and land grants, which is a reflection of the vast breadth of research that is prioritized at this dynamic institution. 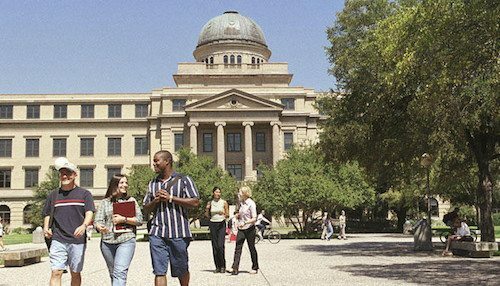 Another reason A&M stands out from the crowd is that it was the first public postsecondary institution in Texas, opening its doors for the first time on October 4, 1886. An innovative program offered at A&M is the Masters in Statistics, which is exclusively administered online. This program is based on its on-campus predecessor of the same name, featuring all of the same classes. The in-person classes are recorded and made available to the online students, coupled with discussion boards and comprehensive class notes. A weekly live Q&A to backs up the material, and provides additional support. Financial aid is available for students who are enrolled in the Masters program. Students are never required to step foot on campus, but they are invited to accept their diploma on stage at graduation if desired. Created by the Society of Jesuits in 1878, Creighton University sits on 140 acres of land in Omaha Nebraska. It is known for being the state’s largest private religious institution of higher learning. Over half of the students are women, and as of 2015, it was reported that 14 percent of the student body were first generation college students. There are roughly 8,500 students enrolled at Creighton, and just slightly under half of those who attend are undergraduate students. The campus offers 10 academic honors societies in distinct disciplines, and a very active student government made up of one representative from each college. One of the exciting offerings at Creighton University is the Business Intelligence Master of Science degree, which was rated one of the best online programs by the US News and World Report in 2017. It has become clear in the world of business and industry that candidates with a background in analytics are in high demand. The structure of this program has many perks, including the curriculum and fully online instruction, which was designed to accommodate the student’s need for flexibility, accounting for other life demands. Students may also opt to take evening classes on campus, instead of the online path if they prefer. The program can be completed in as little as two years. 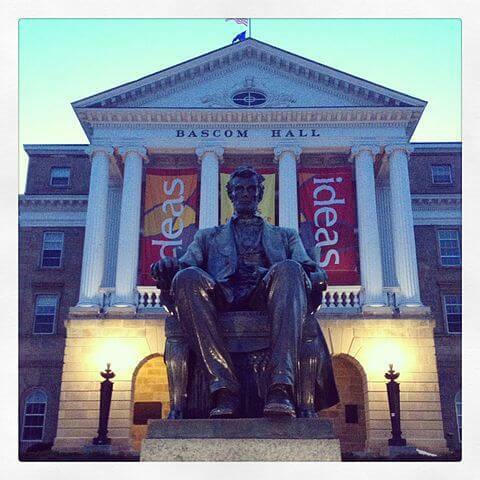 This seasoned institution was established in 1851, and was exclusively co-educational in its admittance from day one. Iowa State University’s whole name is Iowa State University of Science and Technology, and it is the largest university in the state of Iowa, and the second largest in the Big Twelve Athletic Conference. The classification of the school deems it a research institution with very high research activity. As part of their extensive offerings, they have over 100 undergraduate programs and 112 master’s degree programs, and 83 Phd programs. These diverse offerings ensure that Iowa State has a mastery of many subjects and can attract the best of the best faculty that the academy has to offer. In fact, Iowa State was the nation’s first land grant school, further demonstrating their long-standing commitment to research and innovation. Iowa State has an innovative and interdisciplinary master’s program in Business Analytics. The mission and application of it’s reach is geared towards professionals who are already working in the field of business analysis and “big data,” and are seeking the next step in their understanding of the stakes and demands of global competition for businesses and organizations. The program connects program analytics, project management, statistical and predictive modeling, data visualization, and includes a capstone project, allowing students to focus on their interest. The entire degree can be achieved in 21 months, including a one-week on campus course on business analytics. Slippery Rock University, which is also known as The Rock of SRU, is a public, primarily undergraduate and Master’s level, institution with select doctoral offerings. It is located 52 miles North of Pittsburgh, Pennsylvania, sitting on 611 acres in the town of Slippery Rock. Established in 1889, it is known for opening its doors to both female and male students since its inception, and at the time held the primary focus of training teachers. They are a proud member of Pennsylvania’s state system of higher education. Their student body totals 8,500, and continues to grow enrollment and academic programming. Offered by the mathematics department, Slippery Rock has an outstanding Data Analytics Program, and with full time status can be completed in 11 months, or two years for part-time students. One of the perks is that all of the coursework is online, with an option for an internship at the culmination of the program. The faculty are superstars in their field, packed with instructor who have extensive big business experiences. It is required that prospective students take the following prerequisites with a C grade or better in each: Differential Calculus, Integral Calculus, Probability Inferential Calculus, and a programming language. The courses above must be completed prior to the start of the program. Florida State University was established in 1851, and is a senior member of the State University System of Florida. The primary campus is located in Tallahassee on 1,391 acres of land, and 16 unique colleges within the larger University, and 360 programs of study, including professional programs. The campus itself sits on Florida’s oldest continuous site of higher education. Florida State is classified as a research university, and is an American Public space grant and sea grant university. 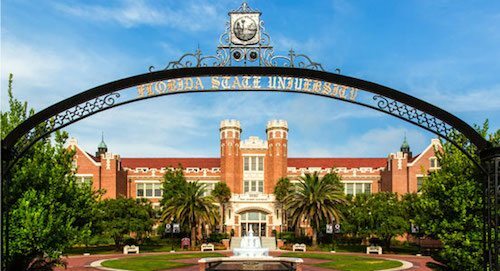 The US World and Report ranked Florida State as the 33rd best public university in the country in the 2017 rankings. Florida State University’s College of Business offers a Masters in Science in Management Information Systems, which has the benefits faculty who are leaders in their field as well as in individual instruction, while it’s convenient instructional delivery is completely online. The US World and Report ranked the program as one of the best Grad Business in 2017. The program consists of three, 11-hour courses that will update the learner with business management and business intelligence skills, and other topics including project management and electronic business. The curriculum was carefully crafted so students can complete the program in 24 months, at the rate of 2 online classes per semester. 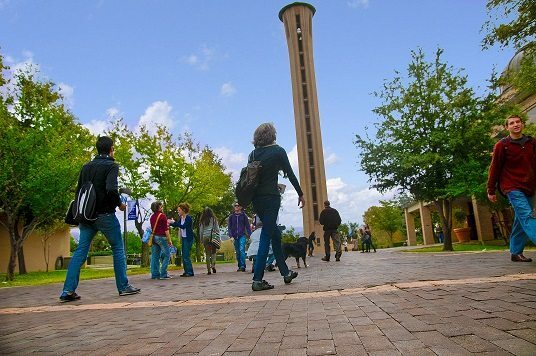 The University of Alabama Huntsville is a postsecondary institution that is divided into eight distinct colleges and is referred to as UA Huntsville or UAH. Two other schools join UAH to make up the University of Alabama system. UA Huntsville is known for it’s top notch STEM programming, including astrophysics, aerospace, science and engineering. Established in 1950, this 432 acre campus in the northernmost part of Alabama on the Tennessee line, supports more than just the state-of-the-art buildings where students and faculty collaborate, it also supports dynamic, inquiry-based learning at all levels. These are some of the reasons why UAH proudly offers the biggest return on investment for students of all Alabama schools for the last several years running. As far as “big data” goes, UA Huntsville is known for its exceptional Master of Science in Management Science-Business Analytics program (MSMS-MA). The new field of business analytics is ever expanding, and the curriculum at UAH offers the most forward thinking advanced techniques that give students a competitive edge with top of the line analytics tools to significantly contribute to the health of organizations and businesses. The program is designed for professionals in the business field who want to deepen their analytic practice and identify significant patterns, pinpoint cause and effect, and help organizations thrive. One of the benefits of this particular program is that it is offered online, in-class or in a hybrid format, bringing together in-class discussions with online lectures. University of Dallas was founded in 1956, and is a private independent Catholic school, with a regional draw. Located in Irving Texas, this school has made a name for itself as one of the best institutions for Catholic Orthodoxy, as well as a school of academic excellence. Another interesting fact is that the US News and World Report noted that as of 2010, 80% of Dallas graduates participated in international programming, and it ranked the sixth highest in any university of students to study abroad. This institution is also known for it’s consistent politically conservative approach and value system, as well as their cultural perspective. The Tagline for the University of Dallas Master of Science in Business Analytics is: Big Data, Bigger Results, Brighter Futures, which concisely addresses the goals and outcomes of this comprehensive program. The curriculum accounts for 30 credit hours, and strengthens the skills of students, enabling them to have great influence on data analysis strategy, by providing advanced skills in the interpretation of big data. The program is STEM designated, meaning it qualifies international graduates for optional practical training (O.P.T. ), which includes a 24 month extension, making the program 36 months in total. The program is in partnership with SAS, meaning graduates can earn a joint certificate from the University of Dallas and SAS. You can find this beautiful campus nestled in the town of Corvallis, Oregon, sitting on 420 acres of land. OSU has changed it’s name 11 times since its inception. The freemasons played a large role in creating the early school, beginning in 1868, and many of the on campus buildings are named in honor of these men. In the early days OSU was actually a Community School, offering primary and preparatory education, and was the first of it’s kind in the area. Known as a research heavy institution, US News and World Report has rated this far-reaching institution as “selective” in its admissions. Oregon State University is very current in its offerings to students, acknowledging the growing need for highly skilled data analysts. It has become more and more evident that there is high demand for professionals who have the unique skillset of large amounts of data, and in turn, OSU has created the Data Analytics Master of Science program and the subsequent graduate certificate program, through the College of Science and Department of Statistics. The program is entirely online and taught by full-time faculty at Oregon State University. Ecampus students are located all over the world, therefore giving students the opportunity to work with a diverse group students, representing over 50 countries. [email protected] is the Master of Science in Data Science Program, created for business and data science professionals to gain advanced data interpretation skills with the extra ability to effectively organize and communicate results. 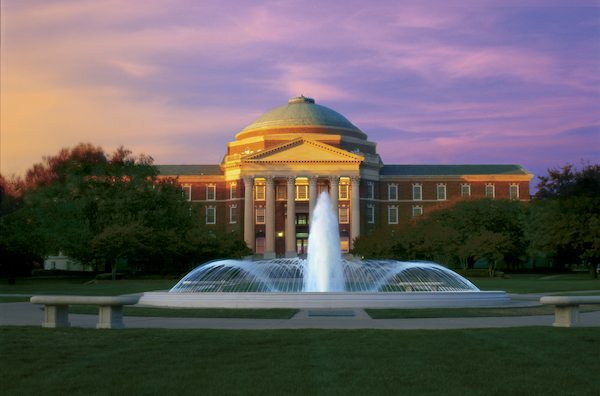 This program is a collaboration of three SMU schools including, Dedman College of Humanities and Sciences, Lyle School of Engineering, and Meadows School of the Arts, with instruction and input from faculty of each. Coursework includes Statistics, Data visualization, Strategic Behavior, and computer sciences. The program is designed for working professionals who are not taking a break from their careers, and therefore, the work is flexible and entirely online. There are, however, weekly live classes, facilitated in a virtual classroom, with a small size for an intimate experience. 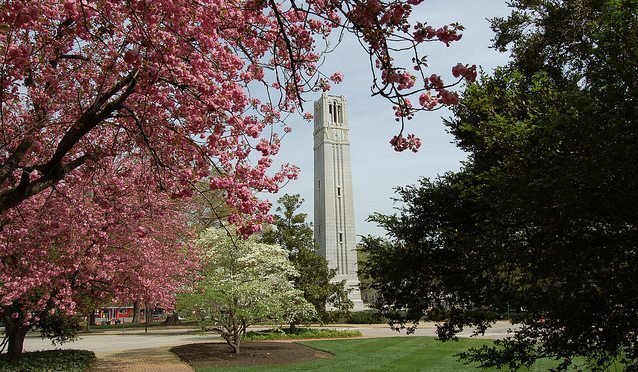 North Carolina State University, is located in Raleigh North Carolina and is a noteworthy research institution with a land, sea and space grant institution. Founded in 1887, the campus itself is made up of distinct red brick buildings, and therefore, the University Plaza is referred to affectionately as “The Brickyard”. It is also known as the largest university in the Carolinas, with an enrollment of over 34,000 students. Historically, this comprehensive university was known for it’s contribution to STEM education and research, but now offers excellence in many disciplines beyond the sciences, including textiles and design, as well as over 106 bachelor degree programs, 104 Masters, and 61 doctoral degrees. NCSU is also proud to be home of the nation’s first Big Data residential degree program. The Master of Science in Analytics can be acquired at their Institute of Advanced Analytics. NC State offers an online Master’s Degree Program in Statistics, which is the exact same on-campus program and degree, including the number of requirements and courses. The diplomas are also almost the exact same, the only discrepancy is that the online program offers fewer electives, as of now. Online students have access to video recordings of lectures that are excellent quality, with an ability to rewind, pause, and view in multiple sittings, and are coupled with applicable exercises. The course of study is made up of 30 semester hours, and the minimum prerequisites required include: Calculus through Multivariate Calculus, and Linear Algebra. Personal statements, transcripts and credentials are heavily weighted in the admissions process. Regis University started as the Regis College, and before that, Las Vegas College, when it was founded in 1877. Despite what it goes by, Regis remains the same Roman Catholic Jesuit Institution that it always was. In fact, it is one of 28 Institutions of the Association of Jesuit Colleges and Universities. One aspect of their fascinating legacy is their commitment to charity, and how that played a role in the evolution of the university. You can find this large campus, made up of 5 colleges, in Denver, Colorado. The US News and World Report gave Regis a top tier ranking in 2013 as one of the best schools in the western United States for more than the past 20 years. Rooted in the Jesuit orientation of study, Regis University offers a comprehensive Master of Science program in Data Science. This engaging program offers a tangible career pathway in data analytics, providing students with the comprehensive skills in deciphering, interpreting, and analyzing data, with the necessary additional skills of communicating results, consistencies, trends, and potential subsequent outcomes for businesses, and organizations. The program can be taken either online or on campus. The campus-based option is administered using a cohort model, and courses generally take place at the Denver Tech Center Campus. Both online and in person classes are offered in eight week sections or terms. George Washington had written that he eventually wanted an “national university,” that lives in the heart of the nation’s capital, and close to a century later that fantasy was actualized with the American University. It’s main campus can be found in the northwest section of DC called Ward Circle. AU contains seven unique schools and colleges, all of which have been consistently ranked highly in national college rankings. It is also consistently ranked as one of the “most politically active” colleges in America, as proven by the many government positions that are held by AU alumni. They also are known for their highly regarded film and video department. American University offers an exceptional Master of Science’s program in Business Analytics from the Kogod School of Business. The program is designed for working professionals who are interested in deepening their data analytics tools and performance in support of businesses and organizations, allowing them to help solve some of the largest challenges regarding fiscal effectiveness and operational efficiency. This online program gives students agency and flexibility, as they are encouraged to either choose a concentration that is already designed or create their own using a variety of electives. A few examples of the predesigned tracks include: Financial analytics, cyber security, consulting, and marketing analytics. Another exciting aspect of the program capstone immersions that students, where students have the opportunities to work with businesses to help them analyze and solve challenges that they encounter. The University of Kansas Edwards Campus is found inside four buildings on 30 acres of land, following the 2004 completion of an $80 million campus expansion. This comprehensive university has been repeatedly recognized by the US News and World Report as among the nation’s best programs in Social Work and Special Education. They are also home to the Kansas Center for Autism Research and Training, which was founded in 2008. This center is a world renowned research hub for deconstructing autism interventions, as well as a hotbed for new scientific discoveries related to autism. The campus itself has many disability resources and accommodations, as well as many on-site and online resources for all students. The University of Kansas Edwards Campus offers a Masters of Science in Applied Statistics and Analytics; a program that emphasizes applicable and tangible hands-on statistical computing skills, and problem solving methodology. The program has a strong focus on data analytics and statistics, as applied to government agencies and industry. Many students leave the program as highly desired statisticians and/or analysts, both of which are high paying jobs with large demand. The online format of this program was designed for professionals to complete this program, while still maintaining their workload and life responsibilities. The curriculum fits within 30 credit hours, and is organized into three sections. The University of Oklahoma was established in 1890, as a well respected public institution in Norman, Oklahoma. Prior it had existed in the state’s territory, beside Indian territory, where it existed for 17 years. As of the fall of 2016, the total enrollment was at 31,250, primarily on it’s main Norman campus. To accommodate such a large student body, there are over 3,000 faculty members employed by the university. One of their claims to fame is that the school is ranked first in the enrollment of National Merit Scholars, and consistently among the top ten in graduating Rhodes Scholars. One of the competitive graduate offerings at the University of Oklahoma is the Master of Science in Data Science and Analytics, which is connected to the Gallogly College of Engineering. There are full time and part time options for the program, as well as on campus and completely online options, all designed to meet the needs of individual learners. Every student will receive individual advising to craft a unique experience that suits their individual goals and is appropriate for their graduation timeline. The degree can be completed with the course-work only option, or students can choose to take on a research thesis, where they receive hands-on professional training. Saint Louis University is a private, four-year research institution, with a Roman Catholic foundation. This highly acclaimed school has an international reach, with a campus in St. Louis, Missouri and one in Madrid, Spain. The school was established in 1818, making it the second oldest Jesuit University in the country, and the oldest University west of the Mississippi River. The campus in Madrid was the first free standing American campus in Europe. The Saint Louis Campus has an enrollment of 13,505 students, with a graduate program that represents 70 countries and all 50 of the United States. The student faculty ratio is 12:1. One of the many stellar opportunities at Saint Louis University is their online Master of Science in Applied Analytics, which is offered through the school of professional studies. This comprehensive and interdisciplinary program is geared towards working professionals who are seeking advancement in the fields of data and analytics. The curriculum includes 36 credit hours, which are offered in eight week terms. The course load and online format are designed for students to continue working either full-time or part-time. There are set online discussion sessions that are interactive and moderated by a faculty member, that work in concert recorded lectures and weekly assignments. Illinois Institute of Technology has its main campus located in the heart of Chicago, in the Bronzville neighborhood. They have four additional campuses. This institution has early roots in advanced education beginning in 1890, and in 1949, the merger became Illinois Tech. Since its inception, IIT has been a private university that grants doctoral degrees. In 2014 it was featured in the Princeton Review as one of the 378 best colleges in the United States, and also on their list for Best Midwestern Colleges. It also made it on the list, as number 24, of “Most Rigorous Schools,” in Newsweek’s 2012 College Rankings. 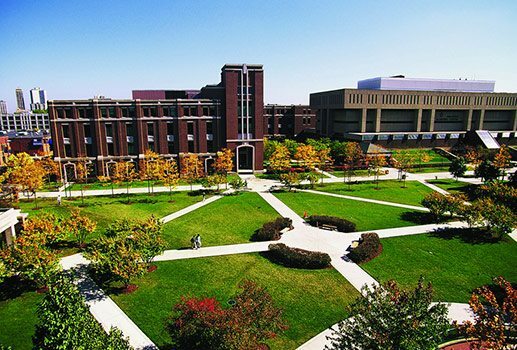 Illinois Institute of Technology has extensive math and science offerings, and many cross-departmental opportunities to engage with “big data,” the first being, the Master of Data Science program, it truly brings the expansive discipline of data analytics home with comprehensive study of data science, statistics, and data visualization. The program is full time, and offered at Mies Campus, just south of the Chicago Loop, which is a global finance center with many opportunities for students to work at businesses and/or organizations, engaging in the data science that keeps these companies vibrant and successful. Students also have the opportunity to study part-time and complete all of their coursework online. The second option is the online Master of Informations Technology and Management with a concentration on Data Management through IIT’s School of Applied Technology. This program is more flexible and again, coursework can be completed online. Marquette University is a private Catholic University, founded in 1881, by the Society of Jesus. Named after the famous 17th century missionary and explorer Jaques Marquette, and was initially created to bring affordable Catholic education to the local German immigrant population. At its inception it was strictly an all male school, but has since become co-educational. Located in Milwaukee Wisconsin, the main campus is divided into 11 colleges and schools, offering a variety of comprehensive programming. Marquette is one of 28 postsecondary institutions that make up the Association of Jesuit Schools and Colleges, and is one of the largest Jesuit Universities in the United States. Marquette has an exciting data driven program with an outcome of a Master of Science in Computing. Their website states that their mission is to prepare the IT leaders of tomorrow. This innovative course of learning takes place in their “classroom in the cloud,” allowing for professional students to dive into this flexible program without sacrificing their careers or family obligations. This online option also gives students who do not live in the area access to this specialized degree program from Marquette. One of the crowning jewels of this program is what is called the Integrated Practicum, given students to opportunity to attend graduate school and start a career at the same time, while also receiving financial support. Saint Mary’s College of Notre Dame is an all women’s residential Catholic school, located in Notre Dame Indiana. Established in 1844 by the Sisters of the Holy Cross. The name of the school is in honor of the Blessed Virgin Mary. Saint Mary’s offers two graduate degrees, one being the Master of Science in Data Science, and the other a Master of Science in Speech Pathology, and one doctorate, which is in Nursing Practice. This comprehensive institution is ranked among the top 100 liberal arts schools in the country in 2015, as published by the US News and World Report. The Saint Mary’s Master of Science in Data Science, gives students unmatched skills in interpreting and organizing raw data, giving meaning to the numbers and information that drive organizations and businesses. Though Saint Mary’s is an all women’s school, this program is also open to men. The program will require a commitment of 5-6 semesters, which comes out to two years of studying, including two summer terms. Overall, the course of study consists of a total of 36 course credits, including the three practicum credit hours, and a practicum presentation. The classes take place online, except for a brief annual campus visit annually. The Southern New Hampshire University was previously called New Hampshire College, and is a private non-profit nonsectarian university. SNHU was established in 1932, as New Hampshire College of Accounting and Commerce. They exhibited tremendous growth in the 70’s, and changed locations from downtown Manchester to it’s current 300 acre home beside the Merrimack River. In 2016, they took on Daniel Webster College, absorbing their students and faculty, and began offering Aviation and Engineering. They are currently expanding to accommodate all of the STEM programming that Daniel Webster once offered, and subsequently, there will be a new Science and Engineering Building with complete construction by 2019. An exciting opportunity that Southern New Hampshire University offers is a Master of Science in Data Analytics. In response to the growing field of data analysis, Southern New Hampshire University is offering competitive skills that respond to the sheer quantities that the businesses of today rely on. This degree is recognized as a PSM, Professional Science Masters. The entire program is administered online, with two classes for every 10 week term. The program can be achieved in as little as 15 months. SNHU is also known as one of the most affordable tuition rates in the nation, which also applies to the master’s programs. This is an excellent choice for professional students needing flexibility, and the online platform allows for 24/7 access to coursework. Located in Fort Collins, Colorado, Colorado State University or CSU is the state’s land grant university and flagship of the Colorado State University system. The campus boasts mountain stunning views, as it sits on 583 acres at the base of the Rocky Mountains. What is referred to as “the oval,” is the centerpiece of campus, where students gather, and also is perimetered by the main administrative buildings and some academic buildings. There are almost as many resident students as non-resident out of the 33,058 enrollment. The faculty numbers about 2,000, including all 55 academic departments in the eight colleges on campus. Colorado State University offers an online Master’s program in Applied Statistics, geared towards students who are looking to sharpen their skills in data interpretation and communication strategy, while also learning how to apply statistical rubrics and practice. Students will graduate from the program with the ability to move directly into a successful career as a statistician for government organizations, non-profits, academia, and industry. Full time students will be able to complete the program in less than one year, and part time students in less than two years time. Another exciting aspect of CSU’s Applied Statistics program is the six week capstone consulting course, where students will have the hands-on experience of applying their new statistics interpretation skills to meet the needs of a company or organization. 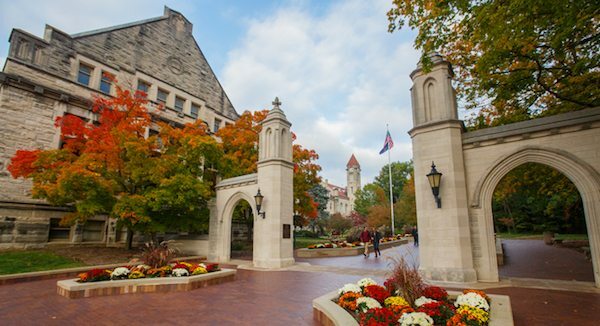 Founded in 1820, Indiana University at Bloomington is a leader in innovation in technology. 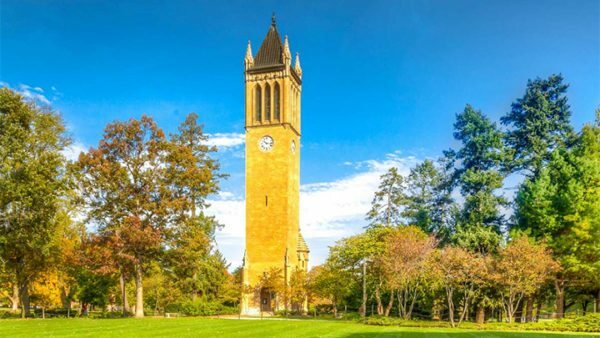 As the flagship university in the Indiana system, Bloomington strives to have it all, and offer everything to their students and learning community. With several programs ranking either number one or in the top five in the country, IU’s commitment to excellence is obvious. As for the dedication IU shows to students, the inclusive environment has earned IU a top twenty-five ranking on Campus Pride’s “LGBTQ-friendly colleges and universities in the U.S.” for several years in a row. These accolades all point to one thing, Indiana University Bloomington is a great choice for students, who can expect to be prioritized no matter what they are hoping to achieve here. Located within the School of Informatics, Computing, and Engineering, the Data Science program at IU promotes excellence that is driven by the idea that a commitment to diversity today is essential in solving many of the problems of tomorrow in data science. Similarly, instructors in this program come from many different background fields, offering the best from education, social sciences, library science, business and many others. The college’s partnerships with an array of industry leaders allows IU graduates the opportunity to be poised to take advantage of the University’s connections in networking and partnering with institutions that can serve as mentors, and eventually offer many employment opportunities upon graduation. Syracuse University is a large research university located in the city of the same name in upstate New York. Fondly referred to simply as ‘Cuse, this private university has been coeducational since its founding in 1870, a fact that they proudly tout as the root of their commitment to equality and access today. This shows in the diverse student body, which is comprised of students from all 50 states and 115 countries beyond the the U.S. With such notable alumni as former vice president of the United States, Joe Biden, and musical artist and actress Vanessa Williams, you’ll be saving the best for last with a graduate degree from Syracuse. An M.S. in Applied Data Science from Syracuse features an education by instructors from the school of information studies and the Martin J. Whitman School of Management, ensuring the best combination of skills for students to apply to data analytics and business management. Graduates stand out in their field, whether they choose to become a data engineer, a data architect, a database administrator, a statistical programmer, a data analyst, or a business intelligence analyst. This 18-month, 36-credit course of study allows students to practice all they learn with a hands-on practicum requirement as the culminating course in their degree. With such an interdisciplinary curriculum the M.S. in Data Science degree fosters collaboration, problem-solving and analysis with diverse professionals, an easy choice for students who want to make the most of their graduate education. Penn State is a huge university, located primarily in central Pennsylvania, but with 19 campuses across the state, as well as an cutting edge online school called the Penn State World Campus. With a history rooted in a threefold mission of teaching, research, and public service and an over 160 year history of cutting edge research and education, Penn State has a reputation of producing leaders in many professional areas, and has the largest alumni association in the world. Needless to say, people who went to Penn State are happy they went to Penn State. With half a million active alumni, there are that many student opportunities for networking upon graduation. Within the Penn State World Campus is the Data Analytics program, an innovative, fully online, Big Data Master’s degree program. In this 30 credit hour program, students will learn the skills necessary to excel in the Big Data and Analytics world, and will focus specifically on gaining skills in data mining, data modeling, data architecture, extraction, transformation, loading (ETL) development, and business intelligence (BI) development. With Penn State faculty from four different schools four colleges and four academic departments, the best combination of people and ideas come together to deliver a world class academic experience for students. Graduate school applicants who pursued an undergraduate degree in science, engineering, or business, or some other quantitative discipline will be highly considered for admission to the Data Analytics program. Applicants from other disciplines will be considered based on prior coursework, professional work experience, and/or standardized test scores. West Virginia University, and the people who attend and work there, pride themselves on hard work and ingenuity. Located in Morgantown, this 150 year old school was founded to bring engineering and agricultural studies to a mountainous region. The state of West Virginia was established the next year, and has been a resource to the people there ever since. The graduate school at West Virginia University’s college of Business and Economics is a program where technology meets team decision making, allowing professionals the opportunity to earn their place in a highly competitive field. 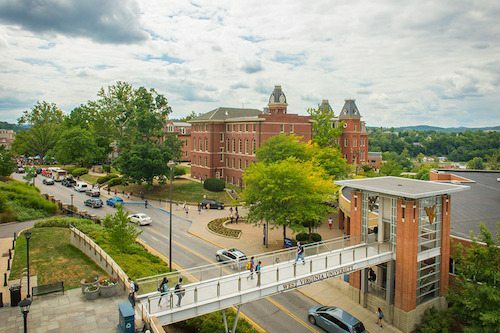 With world-renowned faculty and emphasis on meeting the needs of students, even if that means creating fully online graduate programs, WVU is a great value, being both nationally ranked and competitively priced. In line with the school-wide mission to advance prosperity for all by providing access and opportunity, the Master of Science in Business Data Analytics at WVU does exactly this. By providing the tools needed for students to develop expertise in statistical techniques, data mining, utilizing databases, and analytical tools, graduates of WVU’s “Big Data” program will be able to select exactly where they want to go and what they want to do upon graduation. The highly selective, but holistic approach by the admissions team means that all applicants will be given priority who have completed a bachelor’s in engineering, business, math, statistics, computer science, operations research, production/operations management, economics, or industrial/organizational psychology and have work experience in similar fields. If that work experience exceeds 5 years by the time of the application, the applicant may ask for the GRE/GMAT score requirement be waived. The College of Business and Economics is accredited by the Association to Advance Collegiate Schools of Business (AACSB). Wittenberg University, at face value, does not seem like an institution that has roots in rebellion, but founders of this Lutheran-affiliated school in south-central Ohio were nothing if not rebels. Breaking from the German-speaking church and the immigrant families who settled much of Ohio, in 1845 they created the English Evangelical Lutheran Synod of Ohio, and quickly thereafter established a theological and literary institution that would serve the educational and cultural needs of new immigrants and new communities: Wittenberg University. Today, Whittenberg, or Witt, instills academic excellence in students, challenging great young thinkers to be everything they can, all while maintaining a warm and friendly atmosphere. The Master of Science in Analytics at Wittenberg prepares students with the skills to perform complex problem solving at all stages of their professional career. In a 12-month long program, faculty from many fields including Descriptive, Prescriptive and Predictive Analytics, Data Mining, Data Management, Business, and Advanced Statistics and Modeling facilitate 33 credit hours of study, culminating in a practical capstone project before graduation. This online program requires brief, monthly on-campus residencies each term which allows cohorts to get to meet each other, as well as faculty with whom they will be working. GRE and GMAT tests are not required as a part of admission to Witt’s Analytics program.